Mark Rasch’s career spans more than 25 years of corporate and government cybersecurity, computer privacy, regulatory compliance, computer forensics and incident response. He is trained as a lawyer and, prior to joining a recognized author of more than 1,200 security- and privacy-related articles and books. He has taught courses in cybersecurity, law, policy and technology at various colleges and Universities including the University of Maryland, George Mason University, Georgetown University, and the American University School of Law and has lectured at Harvard University, Harvard Law School, Stanford Law School, UMBC, Georgetown Law School and has been active with the American Bar Association’s Privacy and Cybersecurity Committees and the Computers, Freedom and Privacy Conference. Earlier in his career, Rasch was with the U.S. Department of Justice where he led the department’s efforts to investigate and prosecute cyber and high-technology crime, starting the computer crime unit within the Criminal Division’s Fraud Section, efforts which eventually led to the creation of the Computer Crime and Intellectual Property Section of the Criminal Division. 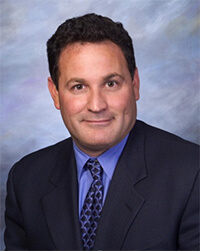 He was responsible for various high-profile computer crime investigations and prosecutions, including Kevin Mitnick, Kevin Poulsen and Robert Tappan Morris. He helped develop the computer crime units for both the FBI and the US Secret Service, and has lectured on cybercrime at the FBI Academy at Quantico and the Federal Law Enforcement Training Center (FLETC) in Glynn County, Georgia and has testified before various Congressional committees on these issues. He is a graduate of the Baldy Center for Law and Public Policy at the State University of New York in Albany, with a J.D. degree and Ph.D. studies in Public Policy. Mark has been a frequent commentator in the media on issues related to information security, appearing on BBC, CBC, Fox News, CNN, NBC News, ABC News, the New York Times, the Wall Street Journal and many other outlets.